Welcome to our latest competition; Sculpture in Spring. After a somewhat uninspiring winter (far too warm and wet) the wait is finally over and spring has sprung at last! The clue is in the name, we are asking you to submit your photos of Sculpture in spring. Keep your eyes peeled for any signs of new life lurking around your favourite sculpture, take a snap and enter our competition to WIN AN ANNUAL PASS TO THE SCULPTURE PARK! Of course, a visit to The Sculpture Park during March, April or May will give you hundreds of opportunities to take the perfect Sculpture in Spring photo. 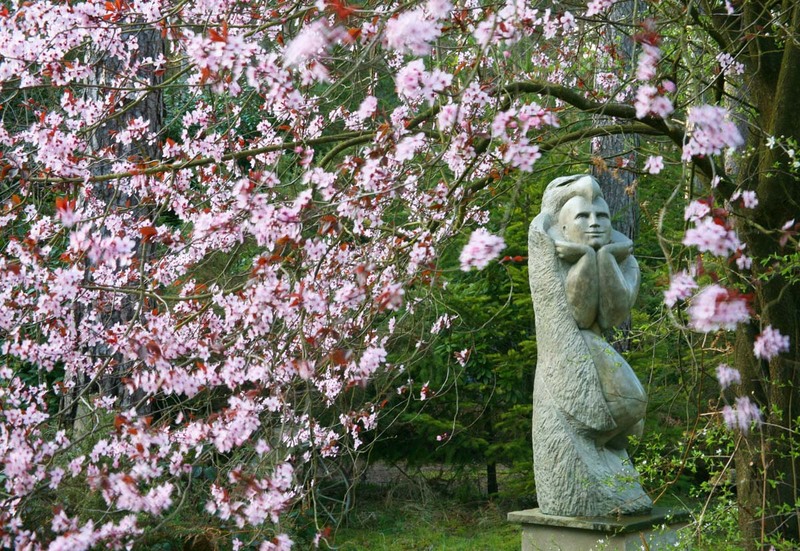 We have over 1000 sculptures on display set within an arboretum of blossoming trees, budding flowers and, if you are lucky, new-born ducklings. But, you do not have to use our sculptures in your photo. Pop down to your local park or town centre, or even use your own garden sculptures to capture the perfect shot of sculpture nestling within the daffodils or peeping out of a blanket of cherry blossom. 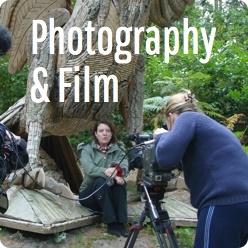 Over the spring season, we will be viewing your entrants and our panel of expert judges (the Sculpture Park staff) will be deciding on their favourite photos. We will be sharing your work with all our social media followers to gain any further comments and ensure that the absolute best shot is chosen as the winner. There may well be some runner up prizes if any further entries are deemed particularly impressive. So, to recap, grab your camera, head on down to The Sculpture Park or any other location exhibiting outdoor sculpture and photograph a work of art surrounded by the signs of spring to get your 'Sculpture in spring' image. Maybe you will find a driftwood sculpture tiptoeing among the bluebells. Or a bronze chicken framed by a bed of swaying crocuses. Or even some newly born lambs cuddled up to a stone statue. You never know! Remember to share your work to our Social Media pages with the hashtag #sculptureinspring for your chance to win a year long pass to the Sculpture Park. 2. Employees of Art & Sold Ltd or their family members or anyone else connected in any way with the competition or helping to set up the competition shall not be permitted to enter the Sculpture in spring competition. 3. There is no entry fee and no purchase necessary to enter this Sculpture in spring competition. 4. The prize voucher will be given to 1 individual and will include name and photograph on the pass. This named individual will be granted entry to the park for him/herself using the voucher for a full year, from the date the individual receives the voucher. 6. Closing date for entry will be Sunday 19 June. After this date the no further entries to the Sculpture in spring competition will be permitted. 8. The promoter reserves the right to cancel or amend the Sculpture in spring competition and these terms and conditions without notice in the event of a catastrophe, war, civil or military disturbance, act of God or any actual or anticipated breach of any applicable law or regulation or any other event outside of the promoter’s control. Any changes to the competition will be notified to entrants as soon as possible by the promoter. 9. The promoter is not responsible for inaccurate prize details supplied to any entrant by any third party connected with this Sculpture in spring competition. 12. The winner will be notified by social media and/or email within 28 days of the closing date. If the winner cannot be contacted or do not claim the prize within 14 days of notification, we reserve the right to withdraw the prize from the winner and pick a replacement winner. 13. The promoter will require the winners address to send the prize, unless they wish to collect the prize from the park in person. 14. The promoter’s decision in respect of all matters to do with the Sculpture in spring competition will be final and no correspondence will be entered into. 15. By entering this Sculpture in spring competition, an entrant is indicating his/her agreement to be bound by these terms and conditions. 16. The Sculpture in spring competition and these terms and conditions will be governed by English law and any disputes will be subject to the exclusive jurisdiction of the courts of [England]. 18. The winner’s name will be available 28 days after closing date by sending a stamped addressed envelope to the following address: Art & Sold, Crossways, Churt, Farnham, Surrey, GU10 2JA. 19. Entry into the Sculpture in spring competition will be deemed as acceptance of these terms and conditions. 20. This promotion is in no way sponsored, endorsed or administered by, or associated with, Facebook, Twitter or any other Social Network. You are providing your information to Art & Sold and not to any other party. This entry was posted in and tagged sculpture, competition, Sculpture in spring, Sculpture photos, photo competition on 20th March 2016 by Charlie.